At least 34 people are so far known to have been killed in the September 10 explosion and fire at the Tampaco Foils factory near Dhaka in Bangladesh. The factory produced packaging for local and multinational companies, including British American Tobacco and Nestlé - companies which will now need to again examine how they monitor and enforce their supplier codes and how they plan to meet their clear obligations as customers of this factory. 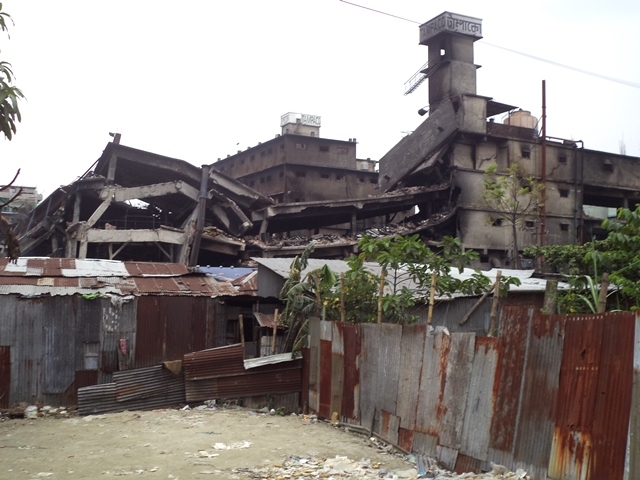 According to local fire officials the blaze triggered by the powerful initial explosion spread so quickly due to improper storage of highly inflammable chemical and oil drums in the factory. The fire took 36 hours to extinguish. Search and rescue operations are still ongoing in the rubble of the collapsed factory. The factory owner, a former MP, and other company officials have gone into hiding. The IUF-affiliated Bangladesh Agricultural Farm Labour Federation is working together with other union organizations in assisting the families of the victims and supporting demands for adequate compensation for the families of the victims and a full investigation of the accident, including the role of government negligence in health and safety inspection and enforcement.